2. High-performance Temperature Control (SS316, Ni200, Ti) with dry-hit protection. 3. 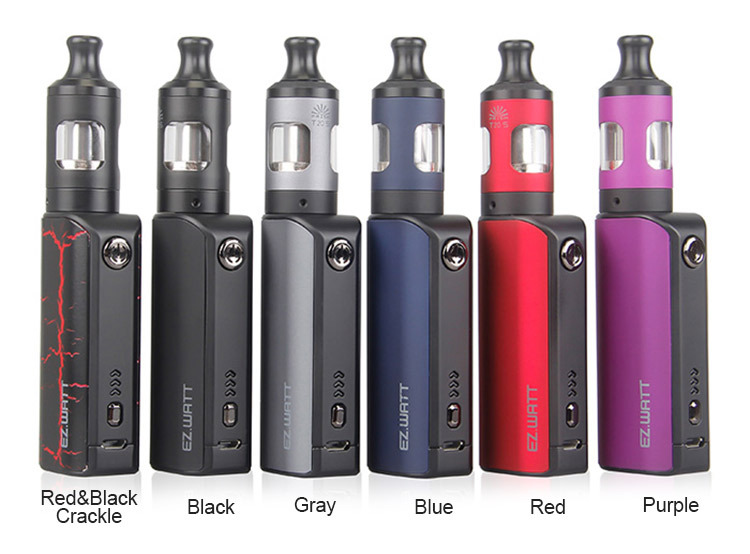 Zenith MTL atomizer is an innovative collaboration between Phil Busardo, Dimitris Agrafiotis, and Innokin. 1. a pocket device for vapers to carry everywhere. 3. supports three optimized wattage levels with a low or high option. 1. compact pen style vaping kit. 2. it has a built-in 1500mAh Li-Po battery with optimized 18 watt output. 3. you can check the remaining power with tri-color LED indicator clearly. 4. it also has USB pass-through and safety protections. 1. a collaboration between Phil Busardo, Dimitris Agrafiotis, and Innokin. 2. intuitive to use mouth to lung (MTL) replaceable coil-head atomizer. 4. an auto liquid feed shut off while refilling, as well as precision air flow. 5. The tank is capable of using a 1.6ohm coil at 10W-14W for a cooler vape, or a 0.8ohm coil for a warmer vape at 15W-18W.